CFS- New Look and Feel! As mentioned in previous FinanceConnect announcements, CFS is scheduled to be unavailable from 5 p.m. on Thursday, April 26th until Monday, April 30th at 8 a.m. for a major upgrade. When you log in again to CFS, you will see a totally different Homepage (See Figure 1). The immediate look and feel has been updated, and navigating to the modules has changed, though the modules themselves are the same. For an overview of the new CFS interface, please refer to CFS Navigation Basics. If you have any questions, please contact Finance Support at financeconnect@sjsu.edu or 4-1558. Please forward this announcement to staff and faculty in your area, as needed. Figure 1: Screenshot of the new CFS Fluid User Interface. Users will be able to navigate to the modules by selecting a tile in the NavBar menu. 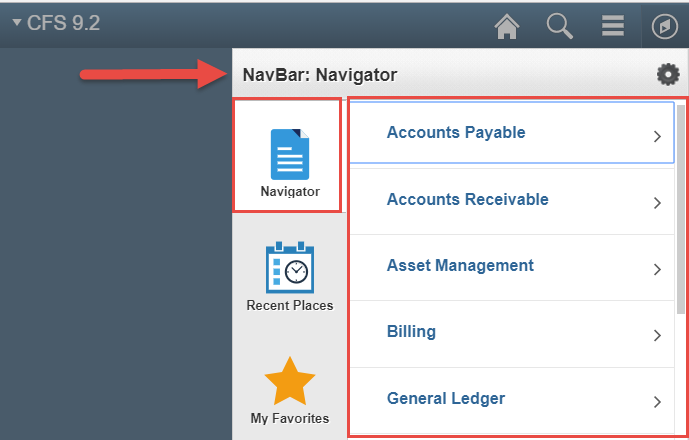 Figure 2: The Navigator tile displays the modules (e.g., Accounts Payable, Purchasing, and CSU ProCard) a user has access to. Figure 3: Screenshot of classic (current) CFS homepage. Users use Main Menu to navigate to the modules they have access to. Comments Off on CFS- New Look and Feel! Correction: Spring Finance What’s Up?